The IHRA traveling road show pulls into Keystone Raceway Park starting this Friday, August 3rd. 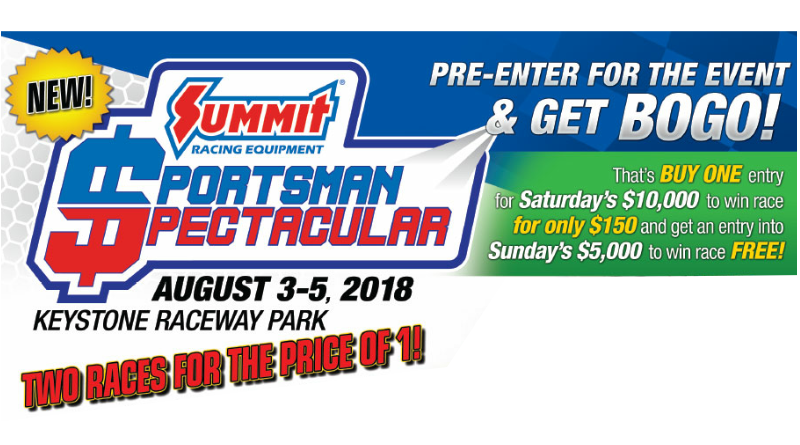 The IHRA Sporstman Spectacular provides racers a chance to race for some serious money with a low entry fee. It’s BOGO, so the deal is by paying $150 to enter the Saturday race for $10k, racers get a free entry into the $5k race on Sunday, BOGO’s are awesome! Classes this weekend include Box, No Box, and Juniors. These races are a pretty sweet deal since they include a racer appreciation cookout, golf cart races, IHRA Ironman trophies, and the coveted Happy Gilmore big check. For additional details, check out the flyer below and don’t forget to check out SummitRacing.com for all your racing equipment needs. ← Stockers are way cool!